It was Earline's love of sailing that directed much of her artistic energy during her teenage years. The regattas in which she competed were an early theme in her oil paintings. (Similar to Picasso, she expects this to evolve into her "blue period.") Just like her Graphic Fusion business partner, she entered one of her early works in a local competition and took second prize. 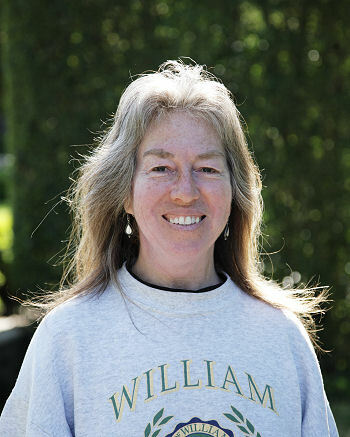 Because of her rich experiences in coastal Virginia, Earline developed a love of the sea and aspired to become a marine biologist, ultimately majoring in biology at the College of William and Mary. Fortunately, the faculty recognized her true talents as an artist and heavily discouraged her further pursuit of marine biology, especially considering her grades in calculus. And so she completed her BA in Art and Education. This was fortunate, since there is already an overabundance of Ph.D. marine biologists feeding dead fish to orcas at Sea World. After leaving William and Mary, Earline moved to Manassas, where she taught art in a newly opened public school, which was an education in itself. She loved her job. Because the school system was emerging, the students and teachers were able to excercise their creativity in the establishment of new programs and curricula, reflective of the rich culture of that area. Being a teacher and watching her students evolve creatively was probably the most rewarding experience of Earline's career as an artist. Life was good, until one day Earline's husband told her she had to move with him to the formidable frozen North for a fast paced life as a corporate Stepford wife. Although she was still able to enjoy time with her children, especially fostering their artistic talents, she missed her own artwork. She had no time for it. Now, a divorce later, and wholely in agreement with the friendly recommendations of the vocational specialist her ex-husband hired to evaluate her job worthiness, she is able to return to doing the artwork she loves.